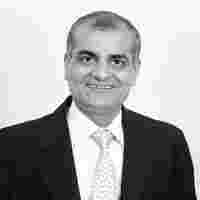 Growth graph: Edelweiss Capital managing director Rashesh Shah. Mumbai-based mid-sized financial services firm Edelweiss Capital Ltd has been expanding rapidly into new business segments with investment from Heliconia Pte Ltd, Greater Pacific Capital, Galleon International Ltd, Sequoia Capital, Shuaa Capital and Lehman Brothers. The firm, which plans an initial public offering, began as an investment bank and has recently entered the institutional equities, private client brokerage and wealth management businesses. In the last five years, Edelweiss has grown from 40 to 1,100 employees, of which 500 have been given stock options to compete in the increasingly crowded non-banking finance services market. How is the investment banking business evolving? As for PIPE deals, if there was any slowdown in the market, what would be the impact on this anchor PE investment? In an ideal scenario, when the market comes down there should be a surge in PIPE deals because things have gotten cheaper. However, historically we have seen that market growth and PIPE deals are correlated. In a rising market, companies are more aggressive in raising money. In a falling market, many hold out for another year. The market cap and the market growth are directly correlated with capital raising, whether in capital markets or in PE. In light of the recent US subprime crisis, how vulnerable is the Indian market to movement abroad? Markets are governed by sentiment, liquidity and earnings. On the earnings count, we think India is fairly insulated because the export story is only a small story. The larger part of the India story is the local consumer growth and infrastructure investment. Liquidity matters. If there is a global liquidity crunch, like what happened in August, it will affect everybody in the world. Sentiment-wise India is evenly balanced. If there is a global crash or problem, I think people will become risk averse but India will be fairly good because sentiment on India is very positive. In the short term—on a weekly basis or a daily basis—globally markets are very correlated. But as for the medium term—three months to a year—markets are fairly “uncorrelated", fairly separate.